One of the worst situations to be in as a new blogger is your WordPress site breaking. There are a few reasons why your blog may break and if you aren’t prepared, you can lose all your blog content. It’s happened to me and I learned my lesson about keeping backups of my blog so I can restore my site in case of a disaster. Why Does Your WordPress Site Break? Imagine you go to access your WordPress blog and all you get is the dreaded “Fatal Error” message? There are many error messages that can occur. Regardless, if you are prepared, you can deal with it. 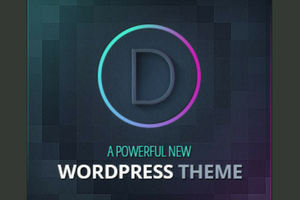 Upgraded a WordPress theme that broke your site. Upgraded a WordPress plugin that caused a conflict between other files. Your blog was hacked and nothing is working right. This is pretty common and has happened to me. It’s a mess to clean up. Keeping a backup of your website is crucial to protecting your content in case of a failure or other catastrophe. You can then restore your site to a previous version and avoid a lot of work. 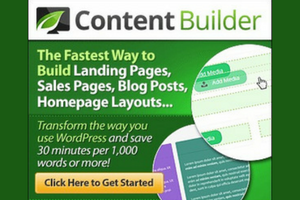 There are a number of ways you can backup your blog content. Today I am talking about 3 ways to keep it simple. 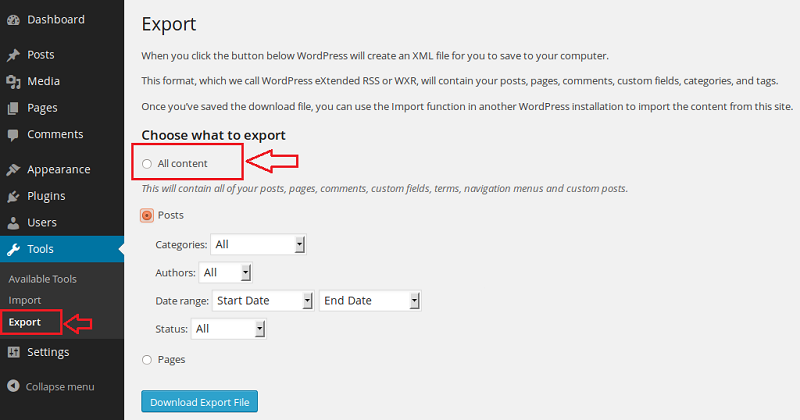 The Tools Export feature is the easiest way to keep a backup of your blog content. 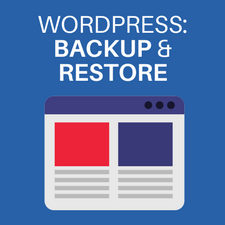 If your WP site is completely broken and you have no way to restore it, you will have the backup of your content in case you need to start over. 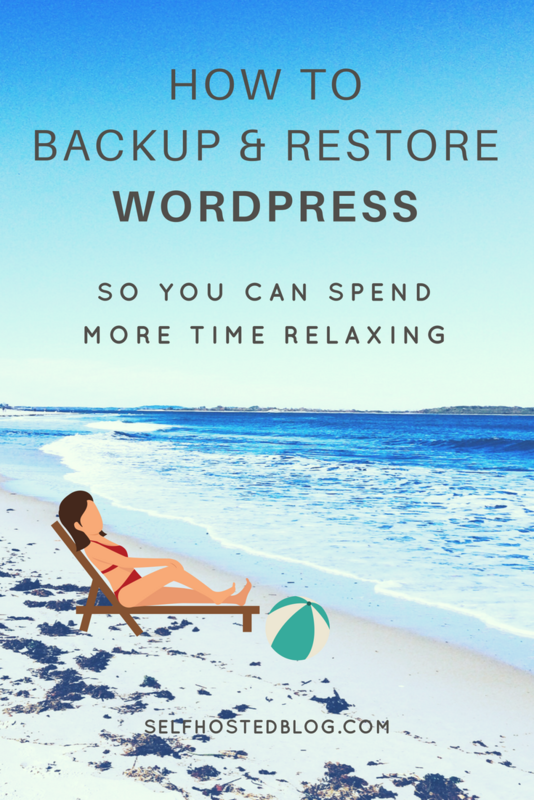 This backup method does not include your WordPress theme or plugins. The WordPress data xml file includes posts, pages, custom post types, comments, custom fields, categories, tags, custom taxonomies, and users. 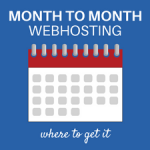 You can also use it if you move to a new webhost. From your WordPress Admin dashboard, select Tools > Export. An XML file will download to your computer hard drive. Take note of where this file is located in case you need it later. If for some reason, you lost your blog content due to a disaster, you can start over and use the Tools Import features to import the xml file. This will restore all the content that was previously downloaded. 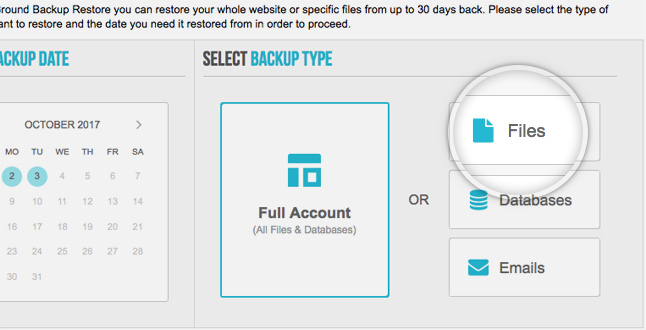 To get a more complete backup of your WordPress site, you can use a plugin like BackupBuddy. There is an $80 yearly fee for a single website package. But … you’ll be glad that you have it! It’s a more robust solution since you’ll be able to restore everything if your entire site is broken. Wouldn’t it be nice to avoid panic mode and instead, just break out your BackupBuddy files to restore them? After you install the plugin, you can create your backup of WordPress and download it your harddrive or another location. You can then restore your entire WordPress website, rollback the database to a previous date or restore individual files. Some webhosts will automatically backup your WordPress site on a daily basis. Many of these will only backup the database so be sure to check with your hosting company before you make an assumption. If you are using SiteGround, they include a Backup and Restore tool with their Growbig and GoGeek shared hosting plans. 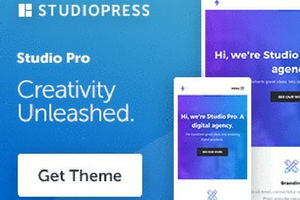 If you have the StartUp plan, you’ll have to pay If you want to restore your WordPress site to a previous version, you’ll have to pay an additional monthly fee to add the service. With SiteGround’s backup tool, you can choose an available date from which to restore your site. You can choose to restore your full account which includes all files and databases. OR, you can choose to restore just the files or just the databases. 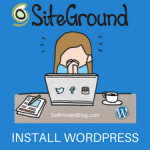 SiteGround’s options is a good one and the simplest one to use, especially if you are a beginner. Even if you use it, it’s a good idea to keep a backup using another method on your computer harddrive. Today I gave you three ways to back up and restore your WordPress data. Each one has it’s pros and cons. I like to use all three of these methods to ensure that I have my content backed up to my hard drive in two ways and I can use SiteGround’s backup and restore tool. Then if something goes wrong with any method, I always have a backup! What tools do you use to backup WordPress? You are using one, right? 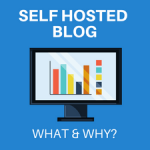 If you are still deciding on a webhost, I highly recommend SiteGround. 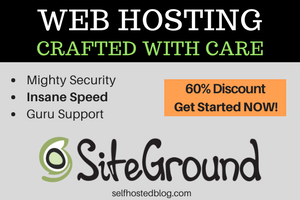 Grab your 60% off webhosting now!